EXCITING JOB OPPORTUNITY - COME AND JOIN OUR TEAM! 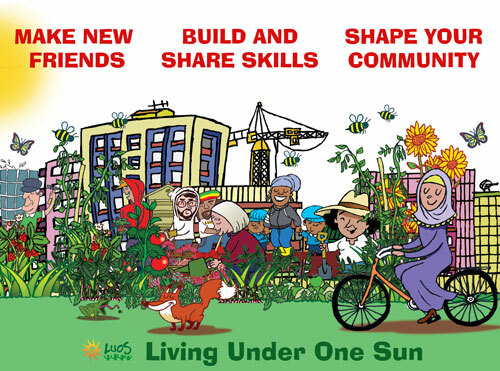 Living Under One Sun is a unique community-based, multi-award winning organisation committed to community leadership, creating health, well-being and positive neighbourhoods. We want to recruit a highly motivated Head Gardener to manage and develop the next phase of our beautiful ‘Green Flag’ winning Community Allotment in Tottenham, Haringey. This exciting part-time role offers the chance to join our dynamic team with leadership, development and career opportunities for the right candidate. For this position you will need at least 2 years experience of food growing in a leading role, a Level 2 qualification in Horticulture or equivalent experience, strong planning and management skills and an inclusive, partnership approach. Shortlisted applicants will be informed by Thursday 1st September and called for interview on 3rd of September between 9.30am - 5.30pm. 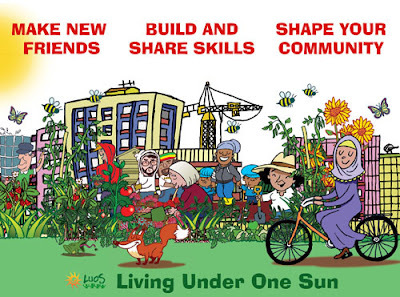 For an informal discussion or site visit please ring the LUOS Co-ordinator Leyla Laksari on 07435 969312. NATIONAL LOTTERY AWARD NOMINATION - A BIG THANKYOU! we expect to hear the results by the end of August. RAYS OF SUNSHINE - LATEST NEWS! Congratulations to everyone who worked so hard and so lovingly on our Community Allotment to win our 6th consecutive Green Flag, meeting the international standard in the following areas: a welcoming place; healthy safe and secure; clean and well maintained; sustainability; conservation and heritage; community involvement; marketing; and management.